Also known as L-ascorbic acid, vitamin C is water-soluble vitamin and essential for your overall health. By strengthening your immune system and protecting your cardiovascular system from common complications, it helps you live an overall healthy life. Vitamin C is also beneficial for your eyes and skin, but some people believe that they can also rely on vitamin C to feel more energized. Is it really so? Vitamins do not work like carbs, protein, and fats that release energy when broken down by your body. Vitamins are essentially free of calories, but they certainly help your body yield energy from proteins, carbs, and fats as most energy producing processes require the presence of vitamins, including vitamin C.
Vitamin C is known for its immune boosting functions, but it is worth mentioning that it is extremely important for the synthesis of carnitine, a molecule that helps transport fatty acids to the mitochondria, which contain enzymes responsible for energy production. It means that in the absence of vitamin-C, your body will be in no position to convert fats and other food sources into energy. If you are deficient in vitamin-C, you are likely to develop a condition called scurvy. Sore arms, curly hair, fatigue, and general weakness are some of its symptoms. You experience these symptoms because a vitamin C deficiency results in the weakening of connective tissues, blood vessels, and bones. Getting enough vitamin C is essential to keep your blood pressure normal. It actually helps lower your blood pressure and is important for people with hypertension. It also prevents cardiovascular disease because it causes dilations of blood vessels. This improves blood circulation and prevents hypertension, heart attack, and other heart related complications. 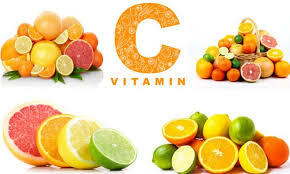 Cataracts are among the most common eye disorders and you are at an increased risk of getting visual problems when you are deficient in vitamin C. When you have cataracts, the levels of vitamin C in the lens of your eye will deplete quickly, and that is why it makes sense to increase your intake of this vitamin to manage your condition better. If you have to spend hours out in the sun, you should do everything you can to protect your skin from harmful UV rays. 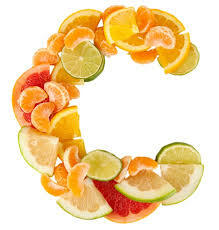 One important step is to increase your intake of vitamin C to help protect your skin from the inside. Vitamin C actually works as a mild natural sunscreen. It also protects your skin by eliminating free radicals from your body. Are you dealing with split ends and wonder why you have dry hair? You may have a vitamin C deficiency. This vitamin is essential for the overall health of your hair. It helps strengthen the hair follicle and accelerates hair growth. Increasing your intake of vitamin C is one of many steps you should take to protect yourself from cancer. Including more vegetables and fresh fruits in your diet is supposed to protect you from various types of cancer. Studies show that vitamin C significantly reduces your risk for the mouth, lungs, throat, vocal chords, esophagus, and stomach cancer. It works by preventing oxidative damage and eliminating free radicals from your system. You may notice some relief in the symptoms of asthma after including vitamin C in your diet. It serves as an antioxidant and prevents oxidative damage in the body. It also helps keep your lungs healthy, which means you are less likely to deal with troublesome asthma symptoms. By including vitamin C in your diet, you can manage diabetes in a much better way. Vitamin C deficiency is considered one of many factors responsible for the development of diabetes. Does vitamin C give you energy? It certainly has a role to play in energy production. And it is also extremely important for healthier bones and nails. It works by strengthening your nails from the inside out. 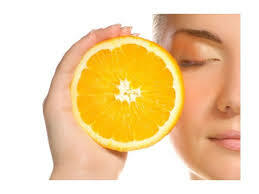 This benefit is due to the fact that vitamin C encourages the production of collagen. Including enough of vitamin C in your diet may help slow down the process of aging. It prevents free radical damage, so it keeps you from dealing with wrinkles and other skin blemishes. Does vitamin C give you energy? It can, just not in the direct way. Moreover, vitamin C serves as an antioxidant and prevents free radical damage. You do not always need to take a supplement to increase your intake of vitamin C because you can find a long list of foods rich in vitamin C.
You can opt for green peppers, citrus fruits, tomatoes, strawberries, sweet potatoes, white potatoes, and broccoli. Some other great sources of vitamin C are cantaloupe, dark leafy greens, mango, papaya, Brussels sprouts, watermelon, red peppers, cabbage, winter squash, blueberries, and pineapples. Include grated or pureed veggies and fruits to recipes for meatloaf, muffins, and soups. Opt for cut-up fruits and veggies to fulfill your desire for a quick snack. Make sure to include tomatoes, dark lettuce, and shredded broccoli in sandwiches and wraps. Enjoy raw veggies with low-fat dips, hummus, and salsas. Include frozen or fresh berries to pancakes, muffins, and salads. Go for a glass of vegetable juice as a low-calorie alternative to your regular mid-afternoon snack.